Every weekend we dig into the archives. This post was originally published back in October 2009. 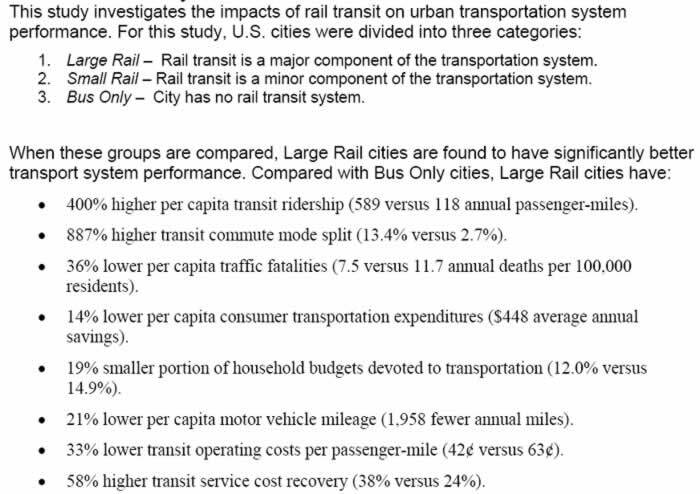 In my searching for interesting academic studies into transportation issues I came across an excellent analysis of the benefits of rail transportation by Todd Litman, a Canadian transport academic. It’s a very detailed study, running to around 60 pages long, and I certainly haven’t read the whole thing yet. 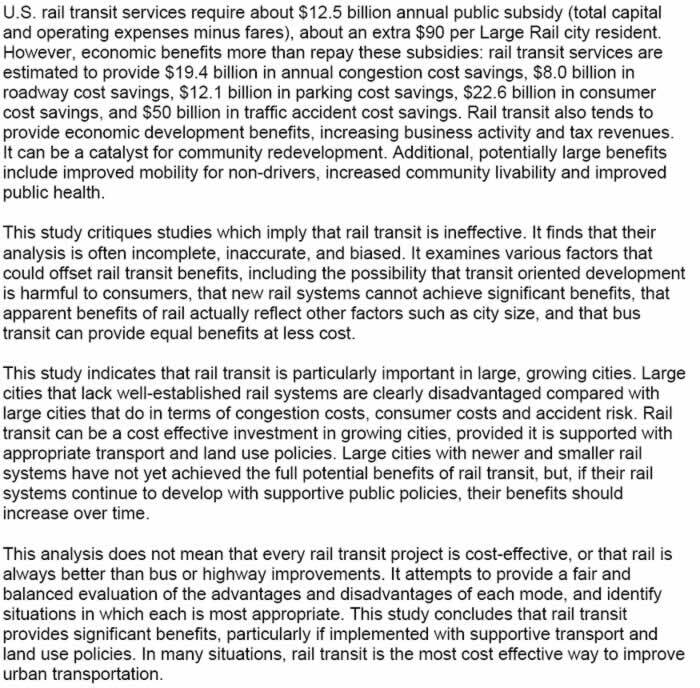 However, there are some very important aspects of this study that offer a far broader and ultimately more comprehensive analysis of the costs and benefits of different transport systems than we are seeing in New Zealand at the moment. 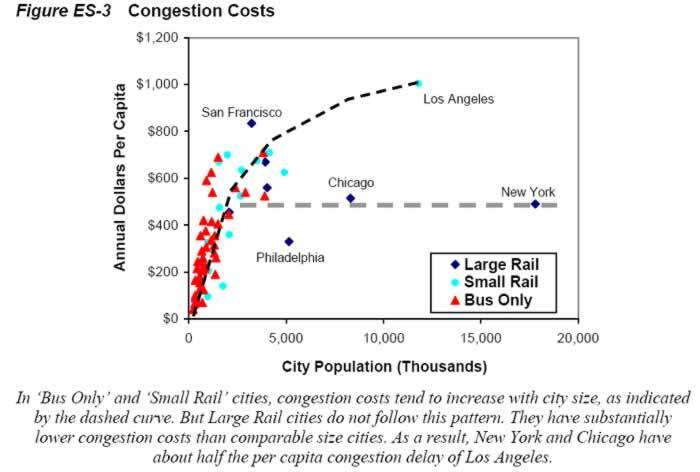 To start with, let’s look at the abstract for the research piece: Now while it’s obvious that cities with larger rail systems would have higher transit ridership, some of the other findings are of particular interesting – perhaps most importantly that the more developed a city’s rail system is the lower we find consumer expenditure on transportation and the less congestion that we see. That seems to indicate that it is quite true that investing in public transport (in this case rail) really does have significant benefit for those who remain on the roading system. Yet they paid millions to Visy and Eden Park Trust. I agree they should do something more towards these businesses as I’ve said on Twitter the other day. A couple of pretty hoardings & signs that say “business as usual” etc doesn’t cut it. Who wants to sip a coffee or a beer beside a noisy, construction site often shadowed by the construction safety walls etc, jack hammers, trucks, dust etc etc. So tell me where in the approved Notice of Requirement it says it is ok for AT to create major business disturbance and not pay compensation? There are dozens of pages of conditions, but that isn’t one of them. They are going to have to band together and do a class action. 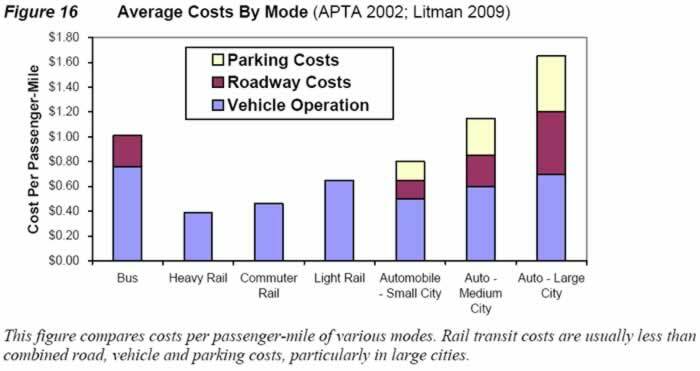 I am sure that on an individual level few calculate the cost of using only public transport compared with the cost of owning a car. I recently looked at the costs of the costs of a modest family car, a low kilometre Honda Odyssey priced at $6500. Adding all costs together, except for the costs of garaging or parking at home, I arrived at a yearly cost of $5100. Compare this with a single 12 monthly AT pass to go everywhere at $2580. Clearly with a one member household it is much better, if only financial aspects are considered, for that person not to own a car. I recognise that an individual may choose a more fuel efficient car. Even with larger households than 1, a considerable amount of public transport can be purchased with the difference between the cost for one family member of $2580 and $5100. I think Auckland has two challenges: the first recognising that providing great (rail based) public transport provides great economic benefits for inhabitants of a city; and second to persuade inhabitants that if they choose to use public transport that they can improve their financial position. In purely dollar values maybe, but the extra time spend commuting everywhere on PT by virtue of not having a car has a cost too. $2,500 seems like it’s comparable on a purely fuel cost basis at $45 a week or so. So throw in an extra $500 for first-party and a small depreciation allowance and you’re still competitive on a $ basis. But once you add the time cost in that you’re taking on with a PT-only commute (and then any discretionary travel) things start unworkable. I guess you are assuming that people cannot work while using PT? I guess though that they can also work while driving. Huge numbers of people seem to talk, text and in some cases watch video while driving so productivity may be the same. I know that New Zealanders work some of the longest additional unpaid hours in the world, and expecting them to monetize their commute time at the end of a work day is going to make that even worse. Add in a second, third or fourth person and the car is better. Also that AT pass neglects ferry users (of course) and also comes with half-hour waits for most of Auckland, not to mention the option of being stranded in the vity if yo have an event that finishes remotely late. I agree though, if we can get public transport way more frequent and cheaper and more equitably provided then we’ll see people choose it over their cars. Vienna has an annual pass at about $NZ 700 with a children’s pass at about $NZ 120. Prague is even cheaper. It is not difficult to see why those cities have phenomenal PT ridership. We are in both of those cities in the next month and hope to see why their PT is so successful. If they do it well, maybe Auckland could look and learn. Great find and great post Matt. I thought NZTA/AT were supposed to take the wider costs and benefits into account – I’m surprised and dismayed if they don’t. * When I suggested this to a transport bureaucrat in Melbourne in 2001, they didn’t get it that public transport users are doing everyone a favour and those who benefit from that favour should compensate the public transport users. Maybe this Litman study will turn on a lightbulb in bureaucrats’ heads. This has got to be the most pointlessly academic post I’ve seen here in a while. Kiwirail has had to fight tooth and nail for years even for the Auckland third main funding. The contests for public transport heavy rail capex are brutal and are usually lost inside Kiwirail, even before they are fought and usually lost inside Treasury, before they are usually lost with Ministers. That’s because such capital is scarce. That has continued for decades. After a fresh change of government, the current NLTP provides nothing but a halfway house to improve the situation. And don’t offer a solution either. Kiwirail bumps along begging its masters for massive subsidies most years just to stay alive, and NZTA is simply going to take years to recover from its state. Too many broken parts of the transport system are now even more broken than they were. And in case it needed confirming, rail in any form is expensive, and the Minister is signaling that there will not be light rail to the west. The priority will be rail to the airport. “Money doesn’t grow on trees”, he said. A Labour Party minister said that ? That’s almost sacrilege. Whatever happened to ‘soak the rich’ and ‘income redistribution’ ? I suspect there is an $11 billion dollar fiscal hole somewhere. Wasn’t $11 billion the projected cost of Steven Joyce’s first tranche of Roads of National Significance. There’s the fiscal hole and it seems fair to argue that Steven Joyce caused it. That’s $11 billion not available for other, more-necessary things.